Analyse at real-time and visualize social media graphs! Social media has become one of the most powerful sources for information and services – Facebook recently announced that the number of users exceeds 1 billion. Furthermore, social media features are being “integrated” into mobile devices (a representative example is Facebook features integrated into iPhone 5), thus allowing users to access them at any time. According to recent statistics, around 100 billion smartphone application sessions have been initiated during Q1 2012, while users use for an average of 24 minutes per day social apps through their mobile devices. The aforementioned exponential growth and use of social media reflects a corresponding exponential growth in the amount of data being generated every day. For example Twitter has 46MB/sec of data created, while in YouTube 48 hours of video are uploaded per minute. Facebook new data per day are over 500 TBs while the number of queries exceeds 70,000. Given this big amount of data in social networks, this use case emphasizes on analytics performed on this “born digital” data. An apparent search refers to the changes in a social graph (as depicted in the following figure). The new connection within this social graph is marked with green. We refer to this case as “2D Analytics” given that the analytics refer to changes in the graph only in terms of connections between different entities. Based on the above, the aim of this use case is to perform robust and high performance analytics on an extremely large amount of data – being generated in social media platforms. They refer to: (i) Topic-based community identification: Often, social analysis mechanisms need to be applied on certain groups of users that have a common characteristic. User interest in a topic is usually expressed through participation in relevant communities and discussions. The use case will develop mechanisms for modelling the users’ activity stream in order to identify communities that are being developed following specific topics. (ii) Events Detection: The evolution of the social graph has to be studied along time. Certain external events that may greatly disturb a smooth/normal evolution of the social graph need to be taken into account so as to incorporate that knowledge in the process of trend identification. In this use case, events detection algorithms will be used to investigate, track and analyse events within the primary sources. (iii) Influence Diffusion Model: By examining the Social Graph, it is feasible to gain understanding regarding the factors that model influence and then isolate them so as to be able to model the diffusion of influence. 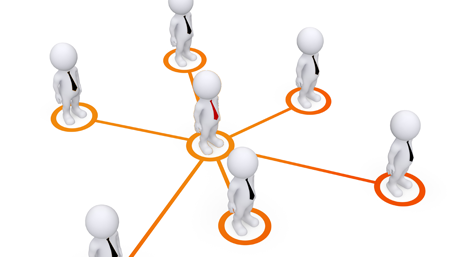 Understanding the flow of influence in the graph will allow the identification of the formed clusters and eventually the nodes that play a central role in influencing others (the main influencers). (iv) Sentiment Analysis: There are various ways to track the reaction and motivation of people in social media. Within this use case, mechanisms will aim at sentiment analysis mechanisms in order to understand the emotional load of an opinion measured in terms of valence, arousal and dominance, whether it is positive or negative and whether this opinion affected others who also propagated it. Note that opinion can be provided in various implicit and explicit ways. Sentiments related to named entities or specific topics can be also tracked and measured in tweets using advanced machine learning and natural language processing techniques. Ultra-efficient analytics on social media data given that these need to be performed in a time-constrained way since content is altered at real-time. Scalable visualizations and logical fish-eye views to obtain results for the sheer sizes of social graphs in an understandable and coherent way. Detection of sentiment polarity based on topic-detection, name-entity recognition and solid machine learning techniques.